Maybe it's time to define a little bit what those Dwarves are like ? I was thinking that those Dwarves sound to me like a pretty « holy » bunch. Their main enemies are Daemons to the South, and Undead + Orcs to the North, not mentioning the Warriors otDG to the West. Also, we want them to correspond to the stories of the « Kingdom of Prester John » (edited in English by Calisson). I see them as very « Light Magic » dwarves with a culture that puts forward stone a lot more than metal and gold. They carve runes into stone, not metal (not so much at least). They live in open air, not underground. Their heroes are Paladins and Clerics. They should have specific abilities aimed at Supernal, Undead and Ethereal, like the WH7 Light Magic had spells that were more effective against those armies. They would despise Dwarves from the Holds (« cowards who hide from the Holy Light of the Sun ») almost as much as they hate the Infernals. Their civilization would be fully « White », with just a little « Blue ». Let's have some brainstorming ? Very good concept of Dwarves of light. Certainly suitable given both the surrounding enemies, the Ethiopian orthodoxy in real life basis, and the fact that it sets them much apart from both Dwarven Holds and Infernal Dwarves. Kegiz Gavem is something which I would particularly like to participate in brainstorming for, but I'm currently holed up in a number of projects and readings (e.g. promised a mate to read his fantasy fiction, which gets priority), and there is precious little time for reading at all these days, meaning I mainly listen to lectures and the like while sculpting. So not much time available for reading up properly on Aksum, Amhara etc. as I would like to do for something like this, to be of any use. I might have scanty chances to follow up on the brainstorming here (incl. sketching more pieces), but please know that I will read everything Taphrian you have compiled in due time, if months and months it take before that. Great endeavour! Keep it up and best of luck. The post was edited 55 times, last by Karak Norn Clansman ( May 17th 2018, 12:02am ). And that is your « I don't have much time », right ? Incidentally, I just noticed that the bit of land that corresponds to our Arabia looks very empty on that world map ! 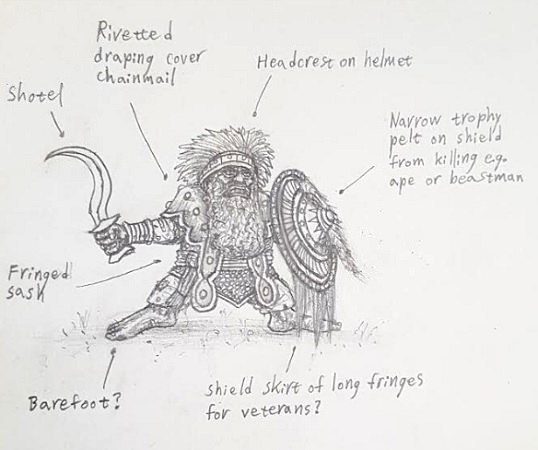 Oh, I was forgetting, the reason why I've already started this thread when we are actually working on the Mukumbusu Giant Apes army, is that we want our Gorillas to have access to Dwarvish runic armour, but were trying to understand how and why and what is their connection to the Kegiz Gavem dwarves. We'd like to make them close allies for economic, historical or religious reasons. Well, I had the day off and was about to clean and paint som new ID casts as prep for release... But one one sketch more couldn't hurt. And then one more. Brainstorming is addictive! We'll better make sure there is something worth fighting for in every backwater nook of the map. It's hard to beat Warhammer's alluringly wacky over-the-topness (it's very well crafted), but it's not too hard to rival its detailed smörgåsbord mix of fantasy and most importantly historical themes once you have Warhammer as a benchmark: Mainly just a matter of churning out many ideas over time and add what real life equivalents Warhammer lacked, knotting them all together fighting and trading in an ever richer fantasy world (snowball effect). I'll give the ape connection some thought. Reporting if any idea pops up. So, religious reasons... Maybe, in the eyes of these dwarves, the giant apes are seen as pure beings. Despite being so close to the Rift, they remain untouched by it, no evil can be found in them. And that's something admirable at least, noone but the purest and strongest of dwarves can remain the same this close to the rift. This is the origin of the pilgrimage anyone hoping to lead these dwarves has to undertake. They will not follow anyone that can be tainted by evil and in the land of the giant apes is the best place to test this? And when one falls to temptation, the apes see to it. Others undertake this pilgrimage to test themselves, mostly for religious reasons. Then there's those who venture there to mine for stone, obsidian and such as these have qualities which make them superior for runic engravings. As a way of thanking the giant apes, they bring runic items and gifts. The post was edited 2 times, last by badman341980 ( May 17th 2018, 5:29am ). I love that you guys are filling out this part of the world. If any one were to give a go to sculpting and developing these dwarfs, I'd say that @Karak Norn Clansman would be the best candidate for the job. I think his style would translate well to these. Wow, that was a quick start! Kegiz Dwarves are a brilliant civilization, brilliant enough to be on Vetian's maps. RL Ethiopia serves as model. High Mountains, lots of water, very chaotic landscape which allows fertile agriculture but difficult transport. Note, the Ethiopian drought which inspired the famous song We are the World was not happening in the whole country but in the relatively dry lowlands, while the highlands were green as usual. 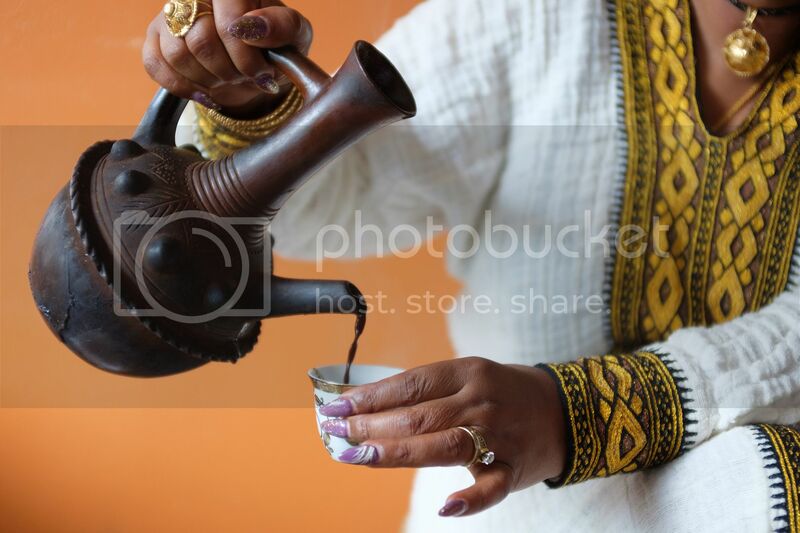 Source of coffee and frankincense indeed. Source of local pot, the khat, very widely consumed in the region. The only African civilization which created it's own alphabet and resisted colonization (lasted less than a decade). Developed a centralized, bureaucratic civilization. Ethiopia resisted also conversion to Islam, and was vaguely remembered in Western Christianity as the land of "Prester John", who they hoped would help fight the rear of the Saracens. We could imagine for T9A a tactics allowing some reserve troops to enter the battle from the enemies' deployment zone. Ethiopian Emperor inspired Rastafaris as pan-African diaspora religion (see Bob Marley). 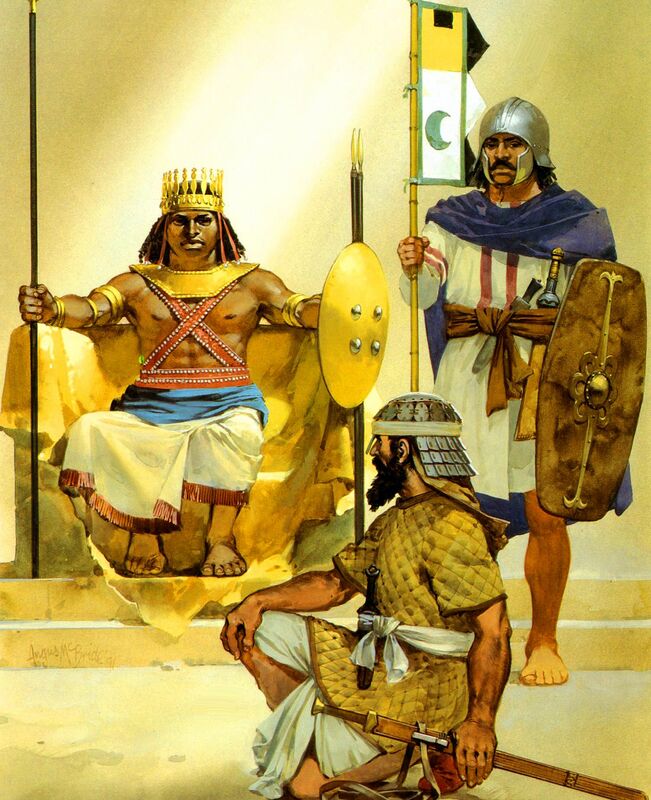 T9A Emperor could claim to be the Ras Taphrian, ruling all of Taphria (in claims only). All the more that besides the lowland rainforest gorillas we have started, there are mountain gorillas as well (maybe near-extinct in T9A), which Kavem Dwarves must have known. Let's not forget the legendary fight between Pygmies and Cranes. If they are fighting, it must indicate that these dwarves are not only dwelling in caves, indeed. This could inspire us to imagine a defiance against anything that flies. RL Ethiopia has a naval academy and a merchant fleet despite no access to sea. T9A Kegiz Dwarves are likely to go at sea, but unlikely to have a major navy. ID, in the undisclosed maritime fluff, have small steam boats, some of them paddle ships. We already described an ID trader steaming upstream to meet the Anteaters. It would indicate that ID have local dominance at sea over Kegiz DH. Maybe Kegiz DH do not have steam technology? In that case, it would make DH footstep in T9A equivalent of Yemen a fragile one. 2. If no such models exist, let's not force that on players. I would leave that as a widespread tradition, not systematic. Gunpowder and warmachines should be there: this is going to be an Auxiliary Book derived from DH, actually Kegiz Gavem is fully part of DH, so there should be only minimal deviations from the DH AB. Also, keep in mind that all Dwarves were united during the Second Age, including those in Taphria. Now that they have split, Taphrian Dwarves are grouped with DH because living in mountains, but they should have similar runes and similar aversion for magic. Also, Kegiz Dwarves fight against Rift Daemons, rather than ally with. Hence closer to DH than to ID. I also wanted to add to the historical survey that Ethiopia was a pretty powerful empire in Ancient times as well, not only Middle Age. During most history of the Roman Empire, all the inhabitable land South of it was Ethiopia (including Yemen/Southern Arabia). Any ship going from (Roman) Egypt to India/China had to cross the Ethiopian sea. 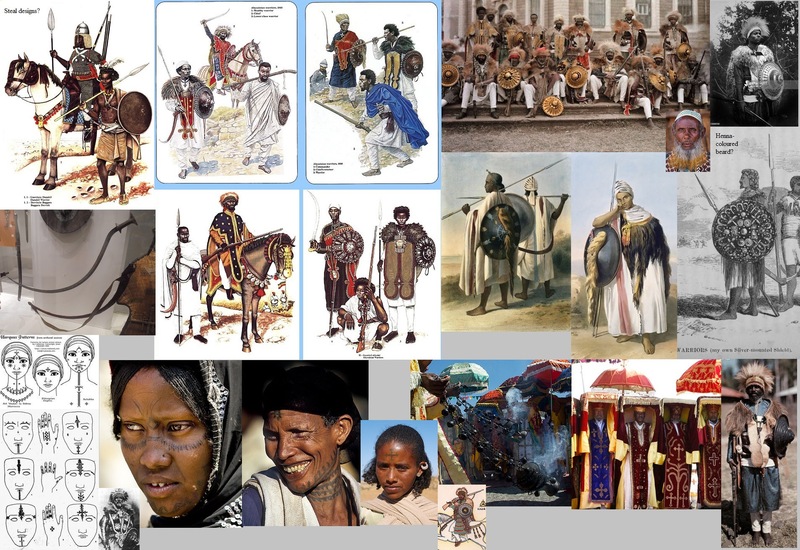 Ethiopia was a rich trading country BUT all foreign trade happened only through the king (he had a monopoly), so there was no development of an independant merchant class, AND they were exporting only raw material (especially live animals and stuff taken from animals, such as rhino horns, tortoise shells, ostrich feathers, etc.) in exchange for Roman crafted product, so from that time already we see Africa encouraging the development of European industry. 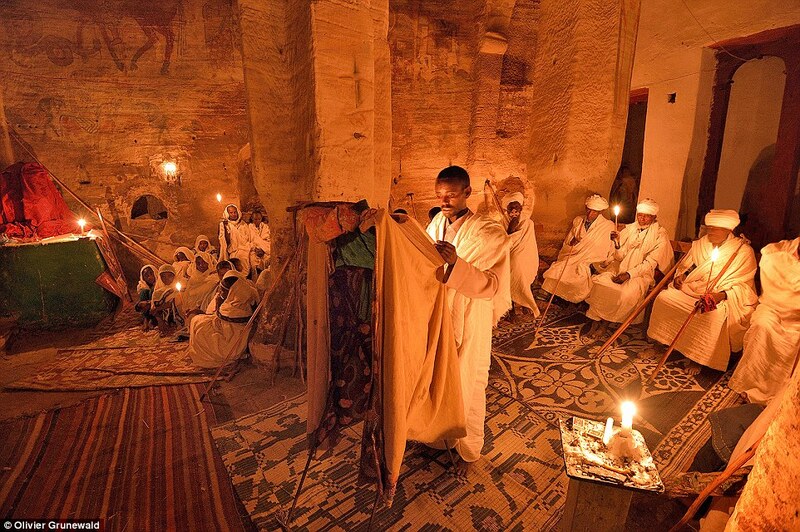 Ethiopia became Christian by welcoming Greek-Egyptian scholars. 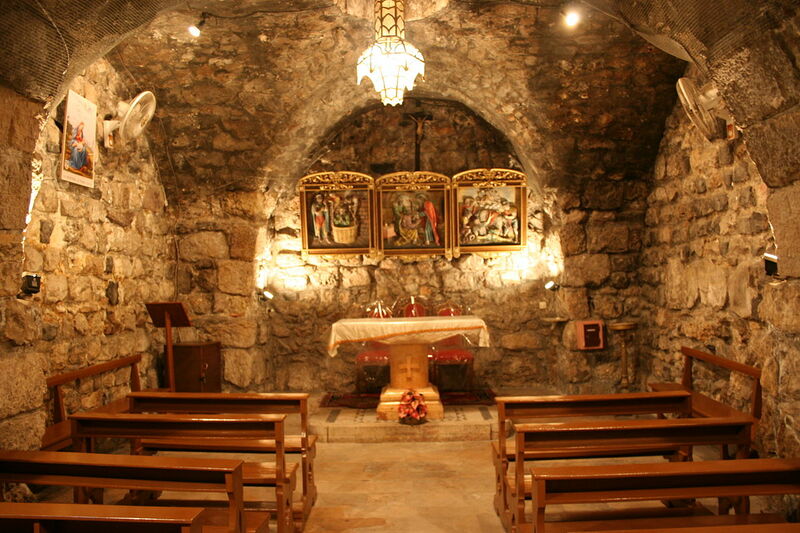 Several times it went to war against cities in Arabia who were persecuting Christians. Maybe they'd be more serious about runecrafting their crossbows and ballistas so as to avoid using handguns and cannons ? I really enjoyed how @Karak Norn Clansman captured the Orthodox Christian spirit of suffering for atonement. It has of course always been part of Christianity and other religions, but I found that the Orthodox really push that idea to another level. Nothing spectacular like the Flagellants, but small things they do to themselves in life every day to become « purer », like fasting, walking barefeet, wearing weights tied to their shirt to make it heavier, or wearing clothes (or underwear) made of very coarse wool/thread that scratches a lot. I agree with @Calisson that not all of them should walk barefeet, but that's a good idea anyway. More importantly, we should see if we can up a Special rule that allow those Dwarves to get some holy bonuses in exchange for such small sacrifices. @infamousme : Thanks, that is not out of the question (will start dabbling with true rank and file models not too long into the future), though the queue means it could take several years before anything materialize. @Calisson : That was baked into the world map! The idea of @badman341980 for the Mukumbusu connection is a working one. Besides, it's good to see Dwarven craft objects on export in various armies, be it for religious, military alliance or mercantile reasons. Developed mainly in isolation from their Vetian cousins (great stonework architecture). Picked up some Infernal Dwarf technology through reverse-engineering captured equipment (esp. 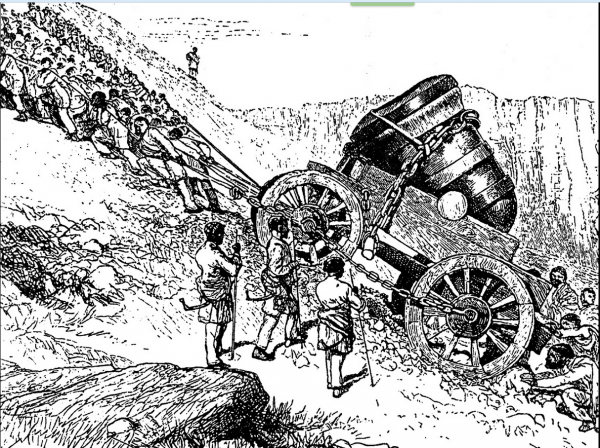 gunpowder weapons), spurred to further inventions by the necessity of arms race (artillery variants, metallurgy?). 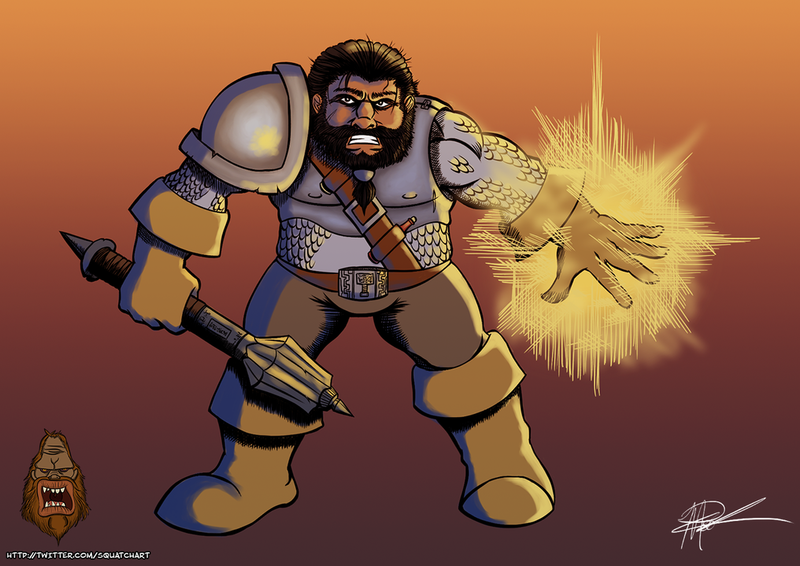 Less advanced technologically than both other Dwarven Holds and Infernal Dwarves (e.g. limited clockwork, optics, and printing at best), have instead devoted resources and energy to advance spiritually/religiously (and in fantasy this have potent practical payoff). 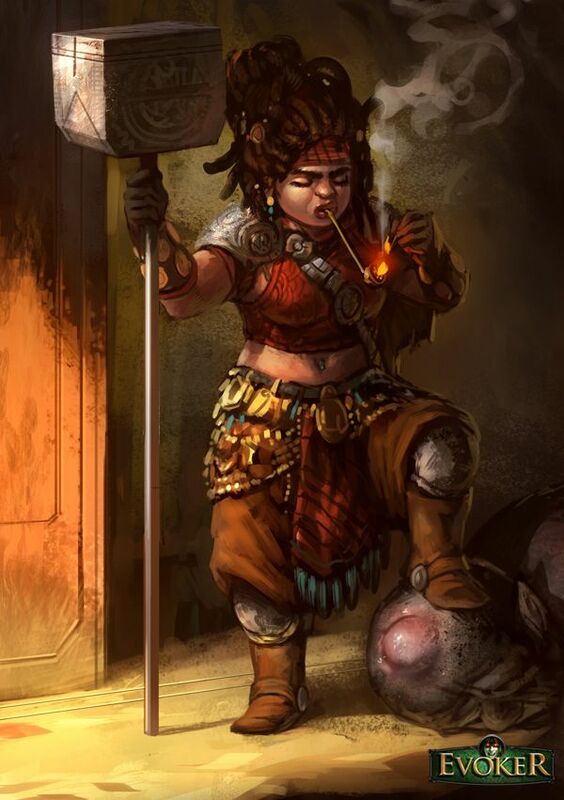 Kegiz Gavem remain the most technologically advanced power in all of Taphria, and their efforts to catch up with some Infernal Dwarf technologies have aided them greatly through centuries of tug-of-war in T9A equivalent of Yemen, together with their powers of holy light. As of lately in the 9th Age, contact has been re-established with Vetian Dwarven Holds, leading to some imports of technology, yet the demented inventors of the Infernal Dwarves are ever pushing the boundaries of possibility, and in this very Age the recovering devil worshippers and heathen slavers are pulling ahead of their Gavemite rivals. At this moment, the Gavemite overseas holdings are under mounting pressure from their enemies, whose increasing naval superiority disrupt vital supply lines. 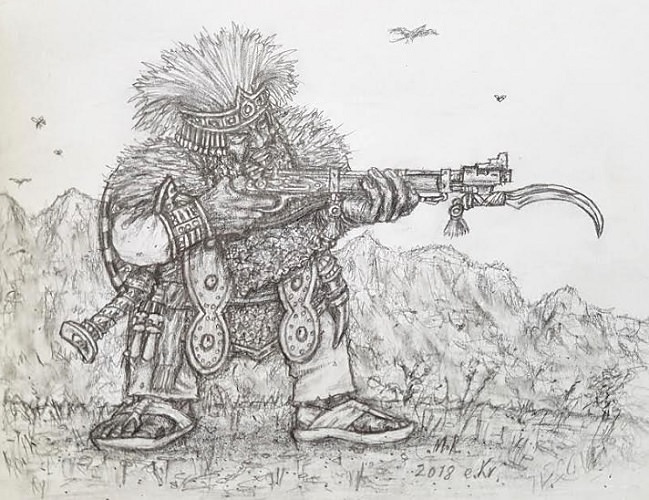 The future of Kegiz Gavem's fortified coastal settlements overseas looks grim, yet the stubborn Dwarves are determined to resist with all their might. The Gavemites have redoubled their efforts in the face of rising losses on the seas and on the distant shores, trusting in their arms, the divine light, and hoping for miracles against the powerful forces arrayed against them. The post was edited 7 times, last by Karak Norn Clansman ( May 21st 2018, 12:28pm ). I'm wondering though : given that Orthodoxy stresses the need to masochistically challenge yourself and willingly endure (unnecessary) hardships, wouldn't they see all that technology as something contrary to their beliefs ? 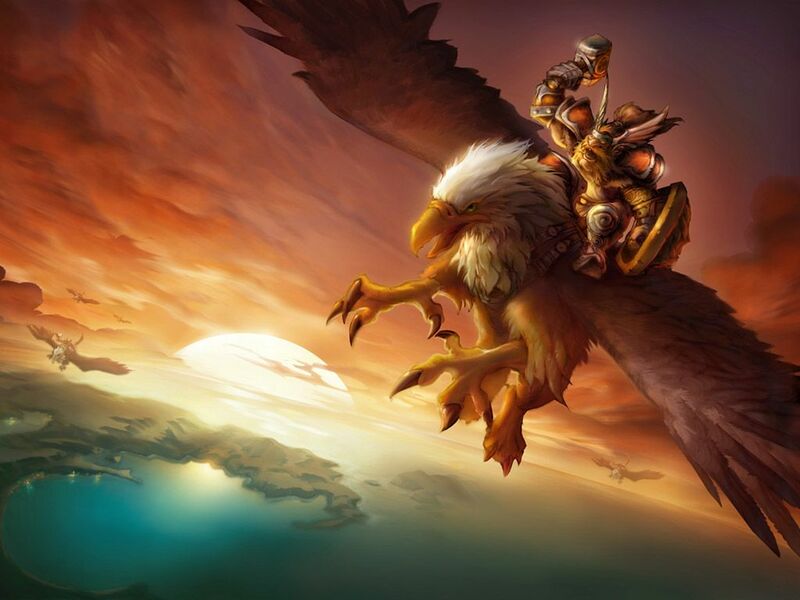 On flyers : yes, totally, why not riding Griffins ? I find it totally appropriate for Dwarves of Light. I was also thinking those guys could be great fans of hunting ? (somehow justified by religion) Again, much like the Warcraft dwarves… But hey, living in Taphria with all those monoceroses, tylopods, giant tuskers and… Ancestral Lions ! That'd be a good pretext for a battle against Koghi and Vanhu ! In general, I see those powers of Light as something that would give them super defensive abilities. Think Ægis aura, bonuses to dispel magic, anti-supernal powers, reroll failed Res tests, Divine Attacks. Also, I was wondering if, given their ability to work with stone, they couldn't get a free Obstacle or Building on the table ? Superb post by @Karak Norn Clansman. 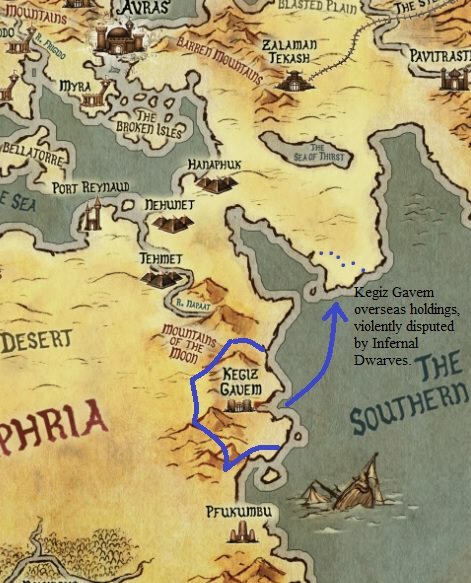 @Ghiznuk, before we ventured too far, let's not forget it is an Aux book for DH, and on the map, Kegiz Gavem is shown as a DH city. Fine with Gavemites doing some reverse engineering on ID technology, and creating in the process the most advanced Taphrian tech. So full access to powder including cannons, and probably some access to steam. 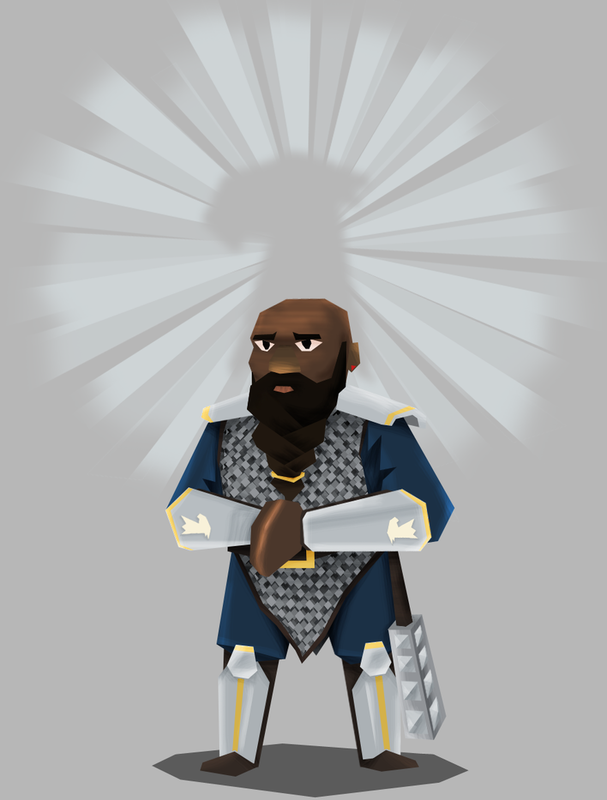 Making them Dwarves of Light, with most likely an associated access for clerics to Thaumaturgy, is a huge step. ID have magic, Gavemites may have it too, so why not? Simultaneously, they would need to keep access to runecrafting, I assume. To remain reasonable, the more access to magic, the less access to runes. So 1 Lore should be a maximum. The access to domestic mounts is a much steeper step. They are exceedingly rare for ID (properly speaking) and non-existent for DH. No possibility of reverse engineering to justify that. For flyers, I would rather let them get some gliders or balloons, the technology is not that complex (and models are available). Thanks! 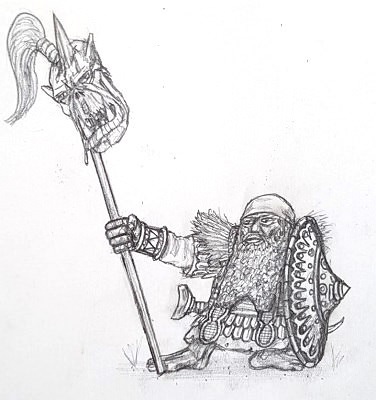 I would love to see a traditionalist Dwarf army, but how much can the army list be tweaked for a Kegiz Gavem variant? I've not caught up on all developments in T9A over the last half year and was aiming above to keep things rather even with the standard DH list as per Calisson's directions. Would like to see the exact details on technology and army list entries and equipment hammered out here by you all, and I'll follow suit if sculpts happen. I'm fine with whatever is agreed on, cheers. I agree orthodox self-abnegation should show! Outside the army list, they could e.g. have bans on elevators taking Dwarves (even if oxen-powered, and even in mines), and keep to stairs, ladders, ropes and cut-out climbing handles in the rock instead. Also eschewing plumbing as a sinful luxury? Besides, on the mentioned adventurers setting out for distant Dwarven Holds with schematics and knowledge of newer technology: I can imagine the same being true for Vetian connections to Northern Dwarves in the mountains above Thrymfjord, and any possible non-corrupted Infernal Dwarf branch living in the Copper Mountains of Taphria. Yes to hunting! Dwarves should venture out beyond their highland domains. Ranging far afield gives indeed good chances for battle as opposed to staying holed up at home. Defensive powers of light with some anti-Daemon/Undead offensive side sounds neat. And a free obstacle is a great idea (wouldn't mind buying one in points in an ordinary Dwarf list). Will follow developments here with interest, and maybe chip in some more sketches if ideas surface and time allows. Looking forward to see Kegiz Gavem fleshed out here by you lot. The post was edited 2 times, last by Karak Norn Clansman ( May 21st 2018, 1:17pm ). I'm not really into Thaumaturgy as it is a purely offensive magic, not at all my vision. My idea is to have them use specially designed Cleric Bound Spells. All this information is cool but sounds highly suspicious, given that it comes from an Elven forum. Hahaha but so yeah, this sounds really good ! It could be crewed by a bolt thrower (if that is physically possible) or by a crew of elite crossbowmen / handgunners. And throw rocks, of course. The balloon would ...And throw rocks, of course. Balloon don't like to carry bulk, or drop it. A flying machine would be an amazing tool for a nation under siege. Being able to come and go as you please, flying over the heads of those who wish to trap you within your stronghold... Just saying that elf you spoke with didn't think out that statement. Not throw rocks, but bombs then ? It's time for Africa !